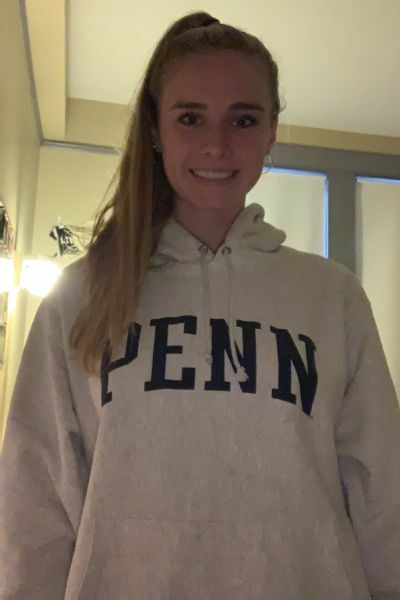 Penn prospect Silke Milliman will be celebrating signing week alongside two of her teammates who are signing national letters of intent. It happened nearly a decade ago, but Silke Milliman remembers it clearly. She grew up in Hanover, New Hampshire, and a five-minute downhill walk from her house put her at the Dartmouth University campus and its Leede Arena. It was there inside tiny Leede -- capacity 2,100 -- that Milliman caught a mini basketball that had been tossed into the stands as part of a promotion. "It had the names of all the women on the Dartmouth team," Milliman said. "And I just thought it was the coolest thing ever." By this time next year, Milliman expects to be playing in the same conference that showcased the women she once idolized. 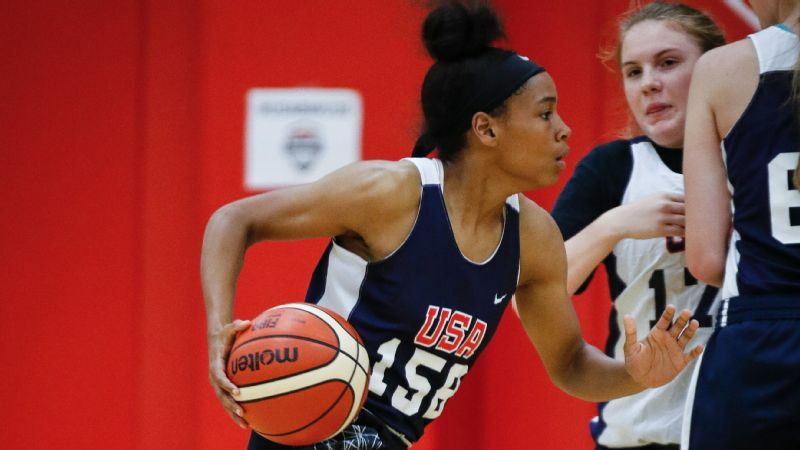 She is one of two espnW HoopGurlz Top 100 prospects who is planning to play in the Ivy League. Milliman, a 6-foot-2 wing at Northfield Mount Hermon (Northfield, Massachusetts) and the No. 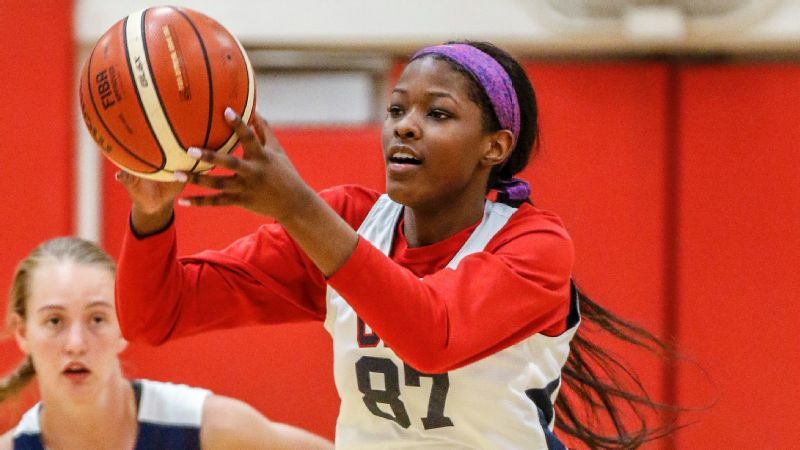 72 prospect in the espnW HoopGurlz Top 100 for the 2019 class, is headed to Penn. 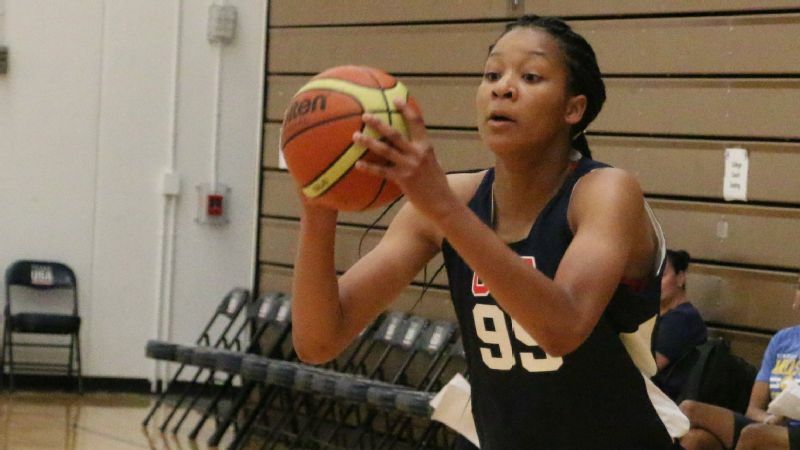 Ellie Mitchell, a 6-foot wing at Georgetown Visitation Prep (Washington, D.C.) and the No. 95 prospect, has selected Princeton. 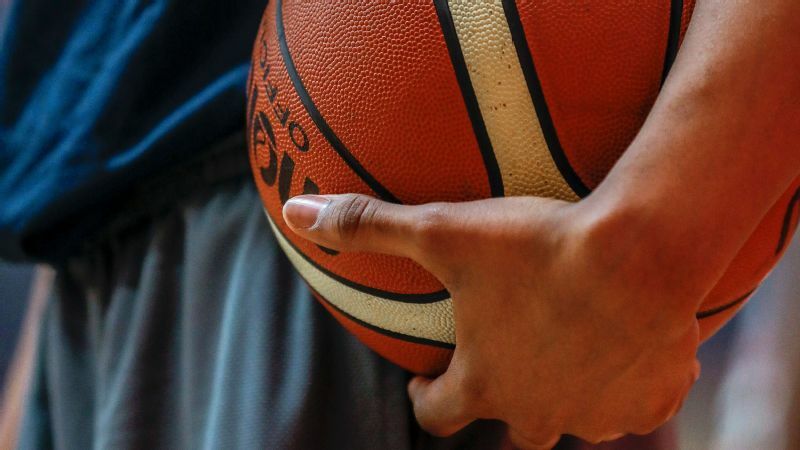 There are obvious academic advantages to playing in the Ivy League, but it isn't the place to go if you are looking for the hoopla that other basketball stars will get next week when the NCAA's early signing period opens. Ivy League schools do not award athletic scholarships, and admission to the schools, at this early juncture, is not a certainty. Grades must be maintained throughout the school year in order to officially earn admission. This week, Milliman will instead attend a signing ceremony her school will hold for two of her teammates, Annabelle Larnard, who will sign with Boston University, and Grace Heeps, who is signing with UMass. "I'm happy for them," Milliman said. "They've been working so hard. It's a scholarship letter, and it's really exciting. "But in the Ivy League, we get our excitement in a different way." Some Ivy League players have been known to sign blank pieces of paper -- just to get in on the signing-day fun. But Milliman and Mitchell say they are content with what is known as a "likely letter" sent by their Ivy League schools. "The Admissions Committee recognizes your academic and extracurricular achievement and looks forward to welcoming you to the Penn family." Mitchell, meanwhile, said she got a phone call last month from a Princeton administrator who told her she would soon be receiving a "likely letter." 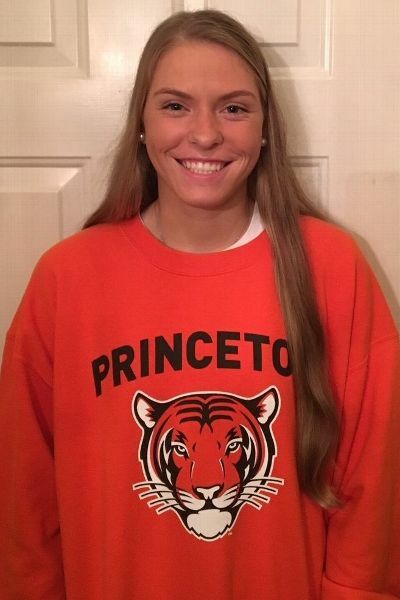 A week later, while driving home from her official visit to Princeton, her twin brother, Eric, told her that the much-anticipated letter had arrived. "I said, 'Oh, great you went through my mail again,'" Mitchell said with a laugh. "But getting that letter was such a good feeling." Eleanor "Ellie" Mitchell, who was born one minute after her twin, Eric, is the fourth of Tom and Janene's four children. This family can aptly be described as tall and talented, athletic and accomplished. Ellie's three brothers, who fall between 6-foot-4 and 6-foot-8 on a measuring stick, all play or played basketball. Her 6-foot-4 dad had an opportunity to walk on at the University of Virginia the year Ralph Sampson led the Cavaliers to the 1981 Final Four. But not wishing to ride the bench on a loaded team, Tom declined. Ellie Mitchell, a 6-foot wing at Georgetown Visitation Prep, only recently started to focus on basketball. Ellie has three paternal uncles who played college basketball, one at Harvard, one at Yale and one at Colgate. Her paternal grandfather, 6-foot-4 Glenn, started the basketball tradition by playing at Virginia. Speaking of traditions, at least eight members of Mitchell's family, including her dad and both her grandfathers, are attorneys. Mitchell carries a 4.03 GPA while taking courses such as advanced placement literature and composition, AP environmental science, AP Spanish and AP American government. Mitchell, who chose Princeton over Yale and Bucknell, scored a 31 on her ACT. 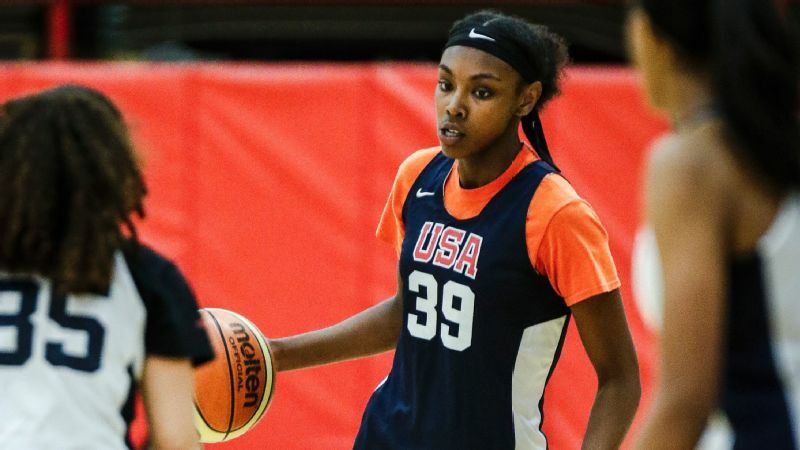 "She's a special girl: straight-A student, one of the best athletes I've ever coached and a great leader," said her high school coach, Mike McCarthy. "She's gifted, but she also has a motor that goes 100 mph and doesn't stop. Ellie has an incredible will to win that is infectious." Mitchell averaged 14.0 points, 11.0 rebounds and 4.0 steals as a junior, making third-team All-Met as named by The Washington Post. Kathy Gillespie, who coaches Mitchell on her AAU team, the Germantown Lady Panthers, said she is a "relentless" competitor. "For years, she was primarily a lacrosse player," Gillespie said. "She swam in the summer, played tennis in the fall, basketball in the winter and lacrosse in the spring. She's good at everything." Gillespie said she finally convinced Mitchell to give up club lacrosse this past summer. That's when Mitchell went from a player few had heard of, Gillespie said, to a top-100 prospect. "She's always been good on defense -- that's just blood and guts," Gillespie said. "But now she's starting to hit 3-pointers more consistently. She's just scratching the surface on her ability." Silke -- pronounced SIL-kuh -- is a Germanic name derived from Latin, and one meaning of the word is "heavenly." That's as good a description as any for Milliman's jumper. "She's a dynamic shooter," Northfield Mount Hermon coach Grace Rehnquist said. "She's 6-foot-2, but she shoots like a 5-10 guard. She has distance. 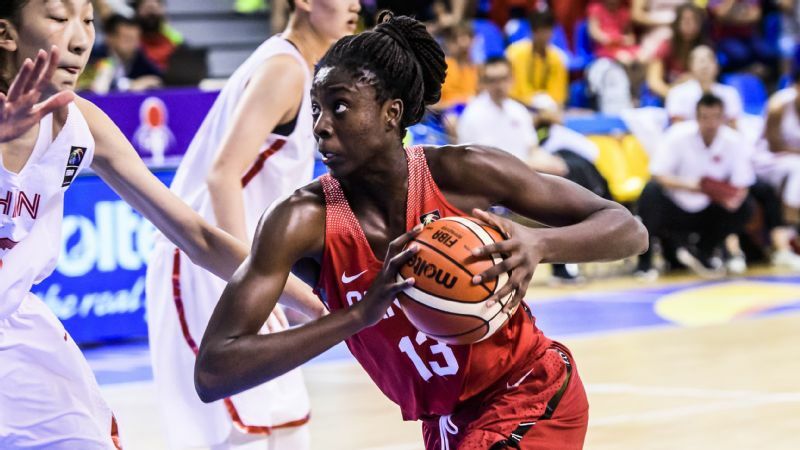 She can shoot off the dribble, and she's incredibly good cutting to the basket and scoring. Her arms are as long as the day. 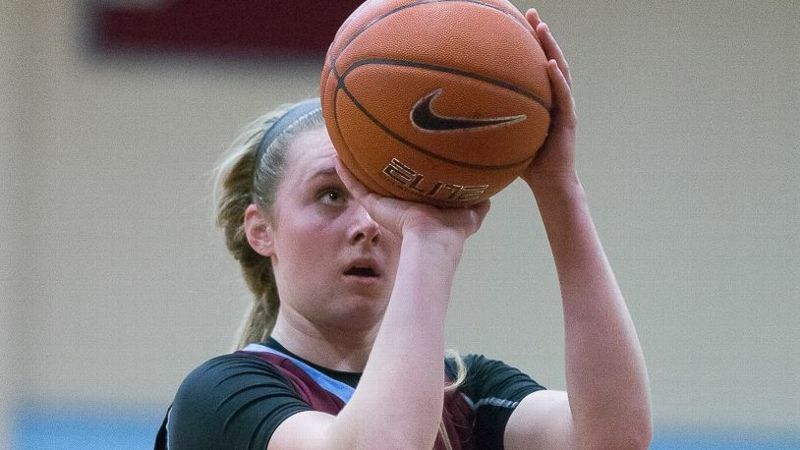 "From talking to the coaches at Penn, she will be a college shooter." Silke Milliman has felt a decadelong calling to the Ivy League. Milliman, who has been a starter since she arrived at Northfield Mount Hermon as a sophomore, averaged 16.6 points, 7.6 rebounds and 2.5 blocks last season, earning MVP honors for the New England Eight conference tournament. She scored a school-record 36 points last season against Blair Academy (Blairstown, New Jersey). As a sophomore, she set school records for single-game rebounds (20) and blocks (nine). Academically, Milliman has a 3.5 GPA and scored 1,290 on her SAT. She isn't yet set on her college major, but math, economics and business are all areas of interest. "Early on, I realized you can have amazing sports and amazing education at an Ivy, and I valued that," Milliman said. "Growing up, I didn't know much about other schools. I was in my New Hampshire bubble, and I just thought, 'Wow, these women are super smart. They have the best of both worlds.'" Milliman, who was a ski racer from age 8 until the seventh grade, did not grow up in a basketball family. Her parents were rowers -- mother Kim at the University of Washington and father Chris at Cornell. 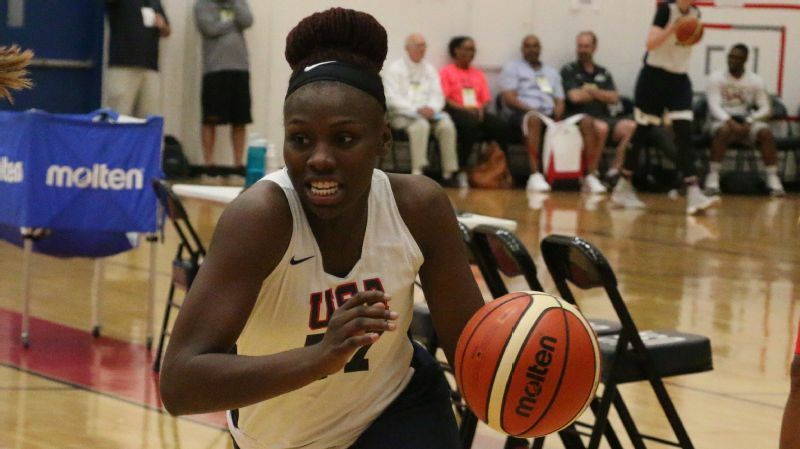 But since devoting more of her time to basketball, she has made great strides, according to her AAU coach, the New York Havoc's Terrance Flowers, who said her confidence has grown tremendously. Scouts noticed, and her ranking soared, putting Milliman and Mitchell in a special category for highly regarded Ivy League recruits. Milliman doesn't know Mitchell, but she recognizes the work required to achieve on the court and in the classroom. 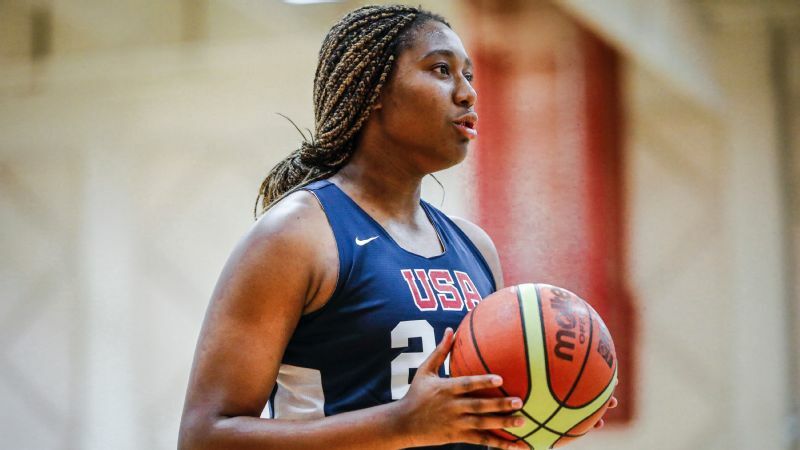 "I think both of us," Milliman said, "are proving that you don't have to go to a Power 5 school to be recognized as a top-100 recruit."